What kind of skills will be needed in working life? In what way would it be useful to develop professional skills? Among other things, these questions were discussed in the research seminar “Osaamisella tulevaisuuteen” (To the future with competence) on 7 November 2018 organized by projects funded by the Strategic Research Council at the Academy of Finland. The skills needed for the future were approached in the seminar in particular from the point of view of the challenges and opportunities posed by working life change and technological development. According to the research results presented by the research projects, diversified skills are required in the future. Because of technological developments, for example, the job tasks are thought to be changing, fading and emerging in almost every field of business, which means that the development of technological innovations will need different kind of digital skills. The appropriate invocation of these innovations also requires the ability to conduct an ethical reflection. If, for example, there is a need for a digital or network-based service in the health and social field, it would first be useful to assess the ability and willingness of customers to use such services, so that services meet the requirements of the customers as it’s best. Well-planned support for work through technology will make it possible to devote more time to human encounters and interaction, with the result that social skills and cultural competences will be further accentuated important skills in future work. How should we develop these working life skills? In the research seminar, Professor of education psychology Kirsti Lonka drew attention to this issue by providing research-based information on learning. Lonka described learning as participating in the culture and growing to be a member of it. Learning is therefore not simply about acquiring knowledge. Various cultures, for example, have different kinds of information practices, that is, information and its creation routines. For this reason, adult education based on lecture courses, which aims to develop skills by transferring information from the speaker to the listener, is most likely not a suitable way to learn new skills. According to Lonka, increasing knowledge is not enough, but changing the ways of thinking is essential to learning. According to studies, the formal education aiming to a degree has been identified as having a protective effect against unemployment, but is the many years ongoing education appropriate to develop skills in the workplace continuously? In SWiPE project, we studied last winter and spring highly educated experts and their experiences on developing competence. The results showed that experts are very active in developing their skills spontaneously and, in most cases, the increasing of knowledge is carried out outside formal education and training courses. Experts therefore take advantage of mostly informal learning habits, such as learning new competence and skills independently, by reading professional literature, visiting seminars and conferences, observing others and gathering experiences in recreational activities, such as hobbies or volunteering. Furthermore, experts do not feel that the lack of necessary training and development possibilities would have been an obstacle to the promotion of their own skills. There could be more need for tailored education and, in particular, to the opportunities to develop competence in the workplace along with the work. Developing competence is important for individuals, jobs and society, and the responsibility for enabling and supporting learning should be a matter of everyone. To the “Osaamisella tulevaisuuteen” research seminar participated researchers from these projects: SWiPE, Taidot työhön, Polkuja työhön, COPE, Promo@work, Promeq and StopDia. Also experts from trade organisations and ministries were invited as specialist commentators. 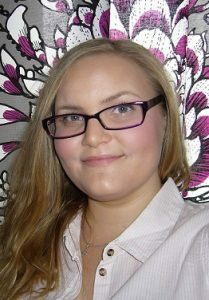 Sanna Rouhiainen works as a project researcher at the University of Turku.